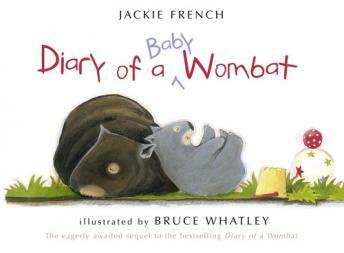 The star of the international bestseller Diary of a Wombat is back - with a new mouth to feed! Cuter, stroppier and even more determined than her mother ... meet Mothball's baby. Like any growing family, this baby wombat and her mum are finding it hard to fit into their home. When setting out to dig a new, bigger hole with room for them both, Shaggy Gully's newest resident gets some help from a friend, causes more mayhem than Mothball ever did, and sorts things out in hilarious style.